Pompey Academy have set a date for their FA Youth Cup third-round tie at Liverpool. The young Blues will meet the Premier League side’s Category One outfit on Tuesday, December 18 (7pm). The game won’t be played at Anfield, however, and instead at rugby league team St Helens’ Totally Wicked Stadium. Mark Kelly’s troops will be relishing the clash against Liverpool. 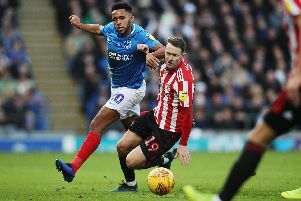 Pompey defeated Bristol Rovers 5-2 in the first round at Fratton Park, before delivering a 4-0 victory over Cray Wanderers on Tuesday at Hayes Lane.